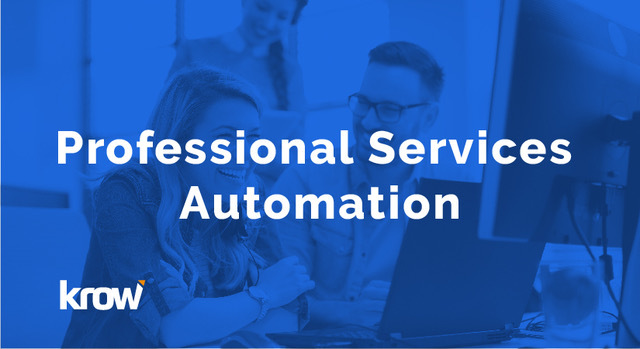 In this article, we’re going to explain what professional services automation (PSA) is, who it’s for, and how to evaluate your options when considering it for your business. Professional Services Automation (PSA) software is project management and resource management software rolled into one easy-to-use platform. PSA systems are designed specifically for the needs of professional services organizations, including consulting teams, accounting firms, and anyone who sells billable hours as a service. How Is Professional Services Automation (PSA) Different From Project Management or Enterprise Resource Management Tools? Professional services automation is much more robust than either project management (PM) or enterprise resource management software. In fact, modern PSA systems include both PM and resource management, relieving you of the need to have multiple systems to plan resources and track your tasks. Instead, everything is done in one place. Traditionally, PSA software has been used by consulting groups, lawyers, and similar professional service teams. In recent years, IT services firms similar to Custard Technical Services, marketing agencies, and architecture, engineering, and construction companies have also begun adopting PSA to organize their projects and workflow. When PSA is implemented well, nearly everyone within the firm will use the software. What Does PSA Software Do? PSA software brings data and workflow into one well-organized system. The system replaces multiple systems often used throughout an organization to track tasks, data, sales, and pretty much anything else that involves interaction with a customer or sales prospect. What Are the Advantages and Disadvantages of Professional Services Automation? In general, the biggest advantage of a PSA system is empowering leaders to manage and measure the services delivered by their team. Executives should be able to see where accounts stand and what areas need improving — including what services are most profitable for the business. In addition, managers and service providers should be able to reduce the time they spend in spreadsheets — since reporting becomes automated. By extension, PSA can often boost margins by reducing the time spent on non-billable work. Organizations that are growing are often great candidates for professional services automation. As headcount goes up, manual tracking and reporting processes often break down, causing service breakdowns and a lack of visibility for executives. A great PSA tool will keep your best people out of spreadsheet paralysis. Instead, they’ll be empowered to make business decisions with full visibility into the operations of your business. Some PSA solutions lack critical features that help tremendously in the day-to-day operations of a service business. Project management, for example, was left out of many PSA systems years ago. That meant businesses reverted to tools such as Microsoft Project to manage their work. Feature gaps like these cause confusion for your sales and service delivery teams. Since they’re working from different tools, neither has full visibility into what the other is doing. Will a PSA System Work with My CRM? Most PSA systems offer integrations to the major CRM systems, but they are often difficult to set up and run. In practice, many services teams operate PSA and CRM systems separately. Too often, that means the information in the CRM never becomes available to the rest of the team. If you’re using Salesforce as your CRM, Krow Software is a fully-featured PSA system built 100% native on the Salesforce platform. Since Krow runs natively within Salesforce, it creates end-to-end visibility to everything that’s happening with prospects and customers. Anyone using any of the CRM or PSA functionality will have a full view of the activities and notes for the accounts they work with. Is Professional Services Automation (PSA) Software Right for My Business? If your organization delivers billable work, you’re a good candidate for professional services automation. Recently, SPI Research conducted an ROI study for professional services automation. They found that a firm with 172 people could expect to spend close to $200,000 in software and implementation, but that they would see nearly $23 million in increased revenue and reduced costs. That’s a 115-times return on investment for professional services automation. Professional services automation (PSA) helps service companies increase the number of billable hours they can sell with their current staff. It does this by reducing the amount of coordination, manual reporting, and firefighting that is common in service organizations. With fewer non-billable projects to worry about, your team can focus on work that is profitable. When using a good PSA system, when a consultant performs an hour of work against a project, that hour is logged and then automatically charged to the customer’s next invoice. This happens automatically—without anyone in accounting having to consolidate a report to make it happen. Most importantly, PSA systems help you achieve better successful client outcomes — the biggest key to growing your service business. What Criteria Should I Use to Evaluate Different Professional Services Automation (PSA) Tools? Modern PSA systems include a robust project management system as part of their feature set. This has not always been the case, however, as many earlier PSA systems didn’t include PM as part of their offering. Look for a PSA system that has PM tightly integrated into the rest of its functions, giving you full real-time visibility for all stakeholders — including your services and sales teams, plus your partners and customers. Now more than ever, service teams need to coordinate their work with the rest of their organizations. By embedding a PSA system into a CRM solution (such as Salesforce), you can put sales and services side-by-side in one platform. Sales opportunities can transition directly into projects for the services team — even before the opportunity has been closed in the Salesforce pipeline. Transitional PSA systems lack this tight integration with the CRM, which creates a lag between the excitement of the sale and the delivery of the service. Financial integration is also key to modern PSA systems. Billing, invoicing, and revenue recognition should all be seamless. PSA software should be able to seamlessly adjust to complex changes in configuration, pricing, and quotes for your services. For example, a project might initially be for time and materials with a revenue recognition policy based on the percentage of a project that’s complete. If a change order happens to add a fixed fee component to the service, the PSA system should be able to easily adjust profitability, margin, bookings, and revenue — along with any new requirements. You should be able to search and compare qualified resources by skills, role, location, and rates with an intuitive and visual appealing comparison tool. Some PSA applications are able to source external candidates in addition to internal resources with a built-in staffing and applicant tracking solution. PSA solutions today also include an integrated time off solution to accurately manage and account for time off with scheduling and utilization. These new types of contracts go well beyond the traditional time and materials services offered in the past. In addition, services organizations are increasingly working with third-party vendors and consultants as part of the delivery team. Today’s PSA applications support these complex billing scenarios and vendor payments. PSA systems track real-time financial performance including bookings, billings, and revenue for each project sold and delivered to a client. Without this, companies lack visibility, which can lead to poor decisions, missed adjustments, and (at worse) reduced margins. Today’s PSA solutions offer full support for project financials, billing, and revenue recognition in one unified solution, tightly integrated with your accounting solution. Earlier PSA applications were not able to manage unique services offered by service teams and projects. Today’s PSA systems give you the flexibility to create offerings in various industries and verticals, tailoring your solutions to the needs of your clients. You can easily create custom fields, build workflow notifications, and set approval process on-demand within modern PSA systems. You can also create user-defined reports, dashboards, and custom applications — all to help you achieve better customer outcomes. Through collaboration, services organizations can tear down the traditional boundaries between teams and increase customer success. Popular tools including Salesforce communities, Slack, and JIRA are staples for many organizations to collaborate on project activities. Robust PSA applications offer seamless integration with these applications, giving users full visibility as they collaborate on a project. This helps ensure all stakeholders have what they need to deliver their part of the project. Finally, earlier PSA solutions were designed as top-down planning tools mostly for use for by managers. The majority of work was done outside the system. Modern PSA applications provide an intuitive experience for all stakeholders across all devices. This helps ensure widespread adoption, collaboration, better profitability, and more customer success. The value of PSA systems comes from their ability to help companies deliver successful client engagements profitably, increasing customer retention, and growing top-line revenue over the lifetime of the customer. The right PSA system has the potential to create significant positive results for your clients and company.